Billionaire Tom Steyer says he’s thankful that law enforcement officials recovered a second package addressed to him that appears similar to those containing pipe bombs that were sent to prominent Democrats. Steyer released a statement Friday, a day after the package was recovered at a postal facility near San Francisco. It was the second package sent to Steyer intercepted by federal officials in recent weeks. Authorities have said both packages are similar to packages that contained explosives that were sent to critics of President Donald Trump. Fifty-six-year-old Cesar Sayoc has been charged with sending more than a dozen explosive packages. The FBI says it has recovered a second package sent to billionaire Tom Steyer that appears similar to pipe bombs that were mailed to prominent Democrats. The FBI says the package was recovered Thursday night at a postal facility near San Francisco. Steyer had previously been sent a similar package that was intercepted Oct. 26. Fifty-six-year-old Cesar Sayoc is charged with mailing explosive devices to prominent Democrats, critics of President Donald Trump and media outlets. Steyer has campaigned for months for Trump’s impeachment. Sayoc is accused of sending at least 15 improvised explosive devices. He was arrested a week ago outside a South Florida auto parts store. Sayoc’s appeared in federal court in Miami on Friday. His lawyers said they would not seek his release on bail for now. 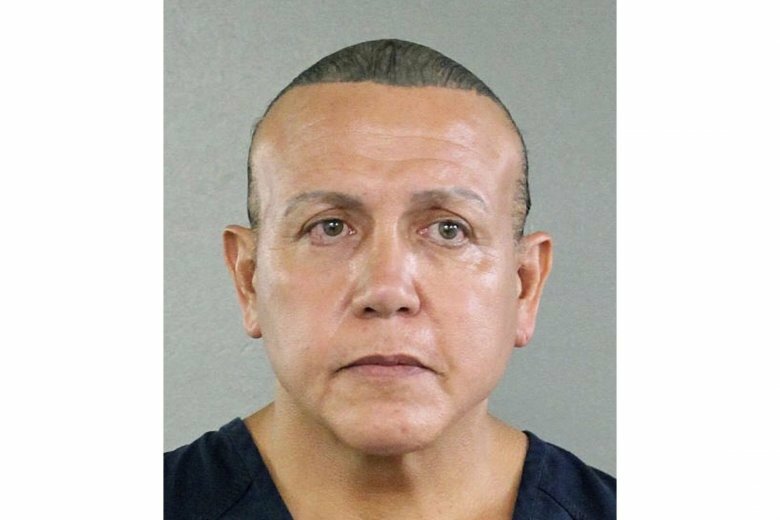 Pipe bomb suspect Cesar Sayoc has agreed to be transferred to New York to face charges of sending explosive devices to prominent Democrats, critics of President Donald Trump and media outlets. The timing of the transfer is uncertain. It could happen quickly or take weeks.